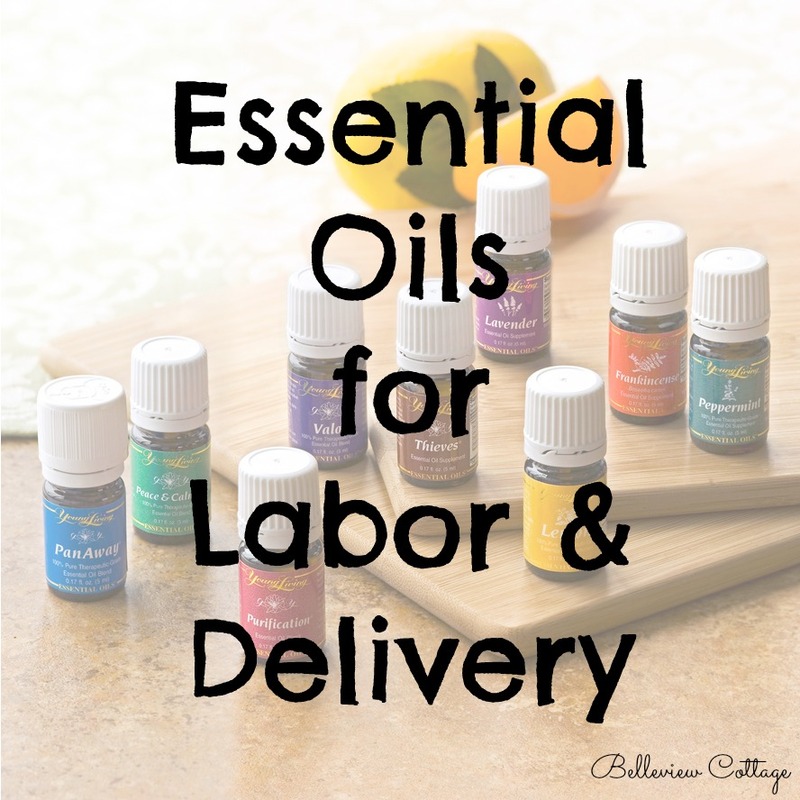 I am excited to share with you how I used essential oils during labor and delivery for my second natural birth! Two years ago, my first son was born in an epidural-free birth, but I did not know about essential oils back then. After using essential oils during my second son’s birth (three weeks ago), I am convinced that the oils made a helpful difference. These are the essential oils and other Young Living products I packed in my hospital bag. I knew I wouldn’t use all of them, but I wanted to be prepared for different issues that might pop up. Here is a brief explanation of why I brought each of the above products to the hospital. “Labor Blend” – This was prepared by a friend who also uses Young Living essential oils. The labor blend recipe (carrier oil, clary sage, lavender, jasmine) is found in the “Quick Reference Guide for Using Essential Oils” book. Its purpose is to help speed up (augment) labor by intensifying contractions. Tranquil – A blend of lavender, cedarwood, and roman chamomile in carrier oil – for calming and help falling asleep. I was thinking I might need this to help with sleep after the birth. Progessence Plus – A blend to help with female hormone balancing. 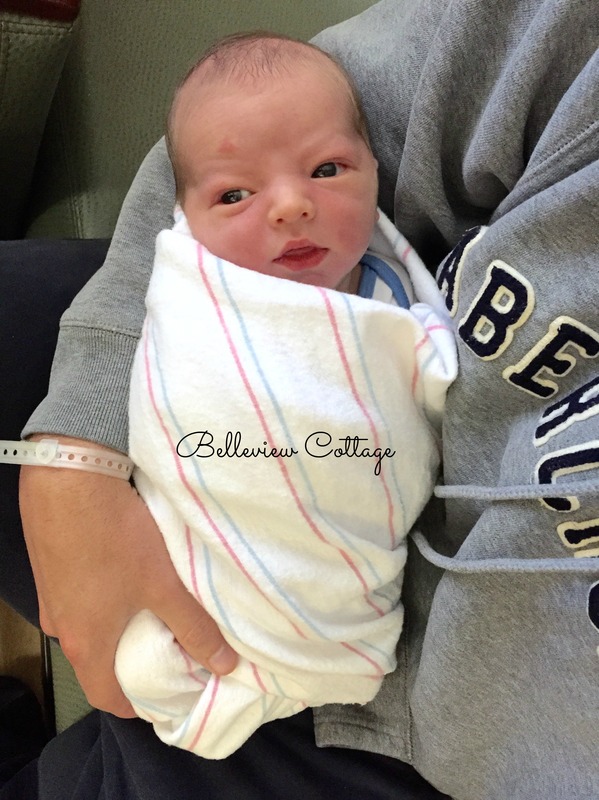 I haven’t used this blend yet, but thought it might help with any baby blues after the birth. Valor – A blend of spruce, rosewood, blue tansy, and frankincense. For courage during labor (valor), help with spinal and hip alignment, and pain. Peppermint – For headaches or nausea. PanAway – A blend of wintergreen, helichrysum, clove, and peppermint. For pain. En-R-Gee – A blend of rosemary, juniper, nutmeg, balsam fir, black pepper, lemongrass, and clove. For energy. Frankincense – To anoint baby. Lavender – For calming and sleep. Surrender – A blend of lavender, roman chamomile, german chamomile, angelica, mountain savory, lemon, and spruce. In case emotions cause labor to stall, to surrender to the birth process. Clary Sage – To promote strong contractions and help labor progress. Peace & Calming – A blend of tangerine, orange, ylang ylang, patchouli, and blue tansy. For peace & calming! My favorite essential oil blend during times of stress or anxiety. Gentle Baby – A blend of rosewood, geranium, palmarosa, lavender, roman chamomile, ylang ylang, lemon, jasmine, bergamot, and rose. For calming emotions. For diffusing after baby is born, to calm baby. Clara Derm Spray – A blend of myrrh, melaleuca alternifolia, lavender, frankincense, roman chamomile, and helichrysum in a base of fractionated coconut oil. For post-partum healing. RutaVaLa – A blend of ruta, valerian, and lavender. For help sleeping (after the birth). Ningxia Red and Ningxia Nitro – A nutritional drink combining wolfberries with essential oils and other superfruits. For a shot of energy and calorie replacement during labor. Not pictured: Fractionated Coconut Oil (my carrier oil of choice), and Essential Oil Diffuser. 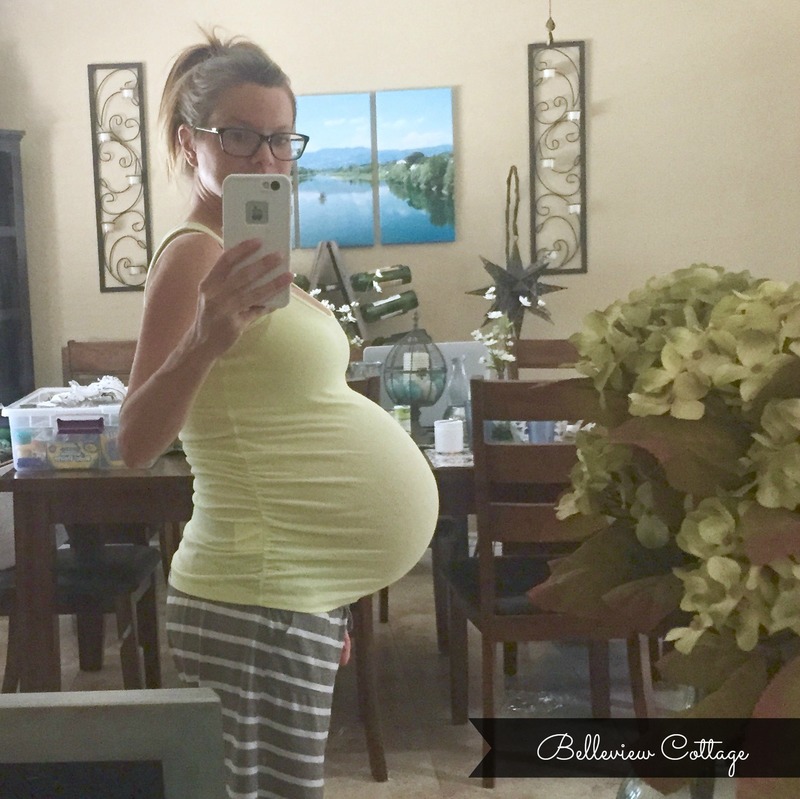 In the weeks leading up to my due date, I experienced fairly strong contractions off and on, including in the middle of the night. 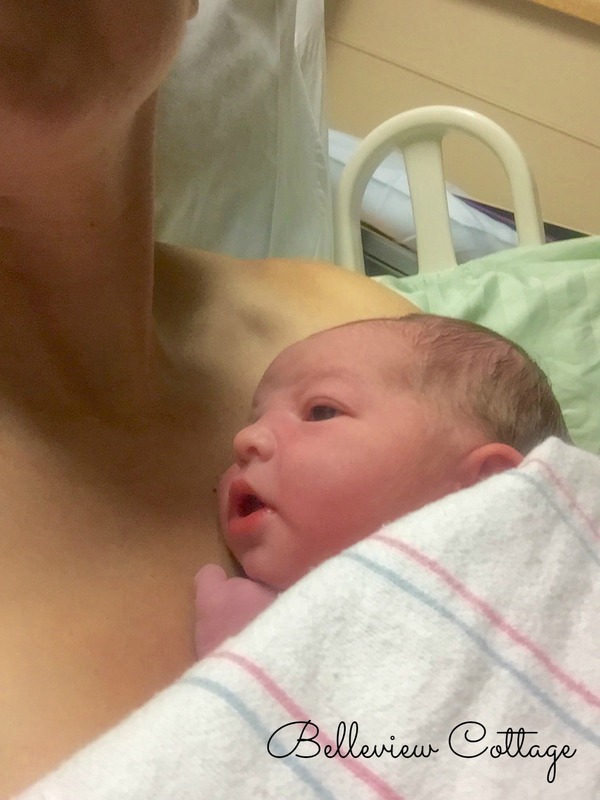 Having given birth before, I knew I was not yet in active labor. I believe this was “prodromal labor.” The contractions continued off and on (past my due date), and checks at my OB appointments confirmed that my cervix was slowly dilating. At 6 days past my “due date,” I was dilated 5 centimeters. After considering other options, I decided on an “induction” of sorts, by having my doctor break my water the next day to get active labor going. The next day (41 weeks pregnant), I arrived at the hospital. During my check-in, contractions got stronger and my water broke during a contraction. However, it was a “high leak” from the top of the bag of waters, so it caused a small gush, but the bag of waters remained intact. This same thing happened in my first pregnancy. Before things really got going, we set up the essential oil diffuser and started diffusing peace & calming. This set a relaxing vibe in the room, and helped prevent any pre-labor jitters. Not to mention, the whole room smelled simply delicious! The contractions were EXTREMELY strong as soon as active labor started. I asked my husband to rub valor essential oil blend on my lower back and tail bone area to help my body with proper alignment for the birth. I also rubbed some valor on my chest to give me courage. I labored on a birthing ball, facing the foot of the hospital bed. My husband stood behind me and I leaned back against his legs. This was my “happy place” and I was really in the zone during the contractions. When they got particularly painful, I asked my husband to apply panaway (mixed in carrier oil) to my lower back and my lower abdomen. I actually believe that the panaway helped dull the pain! At one point, I felt shaky, and I drank half a packet of Ningxia Red. This gave me a nice boost and the shakiness went away within a minute or so. (At this point I had no appetite for snacks or drinks, so the shot of ningxia was perfect.) I also began feeling heartburn and nausea while laboring. I asked my husband for the peppermint essential oil, and I put a small dot of it on the back of my tongue. This helped quell the nausea, and I did not throw up. I repeated the peppermint on my tongue when I began feeling nauseous again later. Again, I did not throw up. Around 4:45 the nurse had me move onto the bed so she could check my progress. I desperately did NOT want to move away from my happy place on the ball, but I complied because I wanted to know if we were getting close. The next contraction while laying on the bed was immensely more painful than when I was sitting on the ball. The nurse announced that I was at 9 centimeters. The next contraction (sitting completely upright on the bed now and hanging onto my husband’s shoulder for support) was SO INTENSE, and I felt the baby moving down in the birth canal. I basically went from 9 centimeters to 10 centimeters in one contraction, and I knew that baby was coming and it was time to push. My doctor was 5 minutes away, so I endured three more awful contractions sitting upright on the bed trying not to push even though I could feel him coming. Any expectant mothers walking the halls of the birthing center probably became terrified if they heard me vocalizing at this point! My doctor rushed into the room, suiting and gloving up just as another contraction began. I pushed through this contraction. Pushing is amazing, because it relieves the pain of the contractions, AND you can feel the baby moving down in the birth canal, which is really cool. I pushed for three contractions, and my sweet baby boy was born on the third push, at 5:07 pm. I immediately felt euphoric and energized, gushing about how cute he was and chit-chatting with everyone in the room. That is the amazing thing about natural birth — the high when it is over! The entire birth was only 2 hours long. After the excitement of meeting our baby boy for the first time and visiting with family, I wasn’t feeling sleepy when bedtime came around. So I applied Rutavala to the bottom of my big toes. This blend has been AMAZING for helping me fall asleep at night! I have a very active mind at night, but this is the best thing I’ve tried to help with sleep. I have been using ClaraDerm Spray to help with postpartum healing of my girlie parts. It seems like the recovery is much quicker with the spray! And, finally, I am applying Frankincense daily to a small stretch mark that I discovered on my belly. I didn’t get any stretch marks from my first pregnancy, but my belly was bigger this time, and I wasn’t so lucky. I have heard great things about the power of frankincense to heal stretch marks. I will post a before-and-after shot after a month or so! Totally saving this for “the next one” and you are my EO coach when the time comes! I should start stocking up on the ones I don’t have! This makes me hopeful for a better experience second time around.